From 8 February to 31 March 2016 Feed-In Tariff generation payments for solar electricity have been set at 4.39p per kWh. This is a big cut on rates seen in 2015 so what will that mean for a householder thinking of investing in a solar PV system in the first quarter of 2016? New build properties or roof refurbishments where costs such as scaffolding and roof work would be part of the overall construction rather than additional costs. What Are The Investment Returns For Solar Panels? If you care about the planet then installing solar panels, alongside reducing your home’s overall energy footprint, is probably something that interests you. For many is us with limited savings this is also tied to whether it also makes financial sense. Better locations will see higher outputs and slightly better paybacks but badly positioned and shaded panels in areas of the country with less sunshine will produce less and the payback will be longer. Table 1 – Payback on solar pv panels at different installation and maintenance costs and February 2016 Feed In Tariff rates. Below we look at some of the detail behind these figures. A typical 4kW system costs home-owners around £6,500 today for a retrofit on an existing roof; new build prices should be cheaper. With the pressure of falling Feed-In Tariff payments we would expect this to fall to around £5,750 in the first half of 2016. 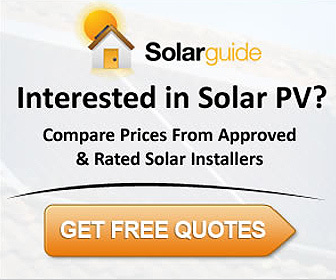 The start of 2016 is going to be a very tough time for solar installation companies so it will take time for a clear pattern of prices to emerge and some will have more aggressive prices than others. There is little maintenance required on solar panels; the rain should keep them clean in most cases. The power inverter the system uses is generally only guaranteed for 10 years so a cautious customer will allow for the cost of replacing it during the 20 year Feed-In Tariff period. Replacing it today would cost around £1,000 but we have assumed the cost will be nearer £600 in 10 to 12 years time as costs reduce with increased global volumes. If you are lucky enough not to have to replace your inverter during the 20 years then you save a further £600 and your payback drops by between one and two years. Table 2 below summarises the different potential costs and also the average annual output and income generated by a solar system. So we can say that a 4kW system installed in 2016 will have a total cost (including an allowance for a replacement inverter after 10 years) of between £6,350 and £7,100. 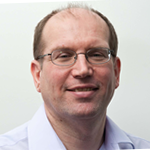 Will Costs Of Installing Solar PV Systems Actually Come Down? Part of the thinking behind reducing the solar PV generating tariff in 2016 was to put pressure on suppliers and installers to reduce costs. However the EU are keeping minimum import prices (MIP) for Chinese suppliers, introduced in 2013, in place until 2017 at the earliest. Also from August 2016 HMRC propose to increase VAT on solar installations from 5% to 20%. So significant cost savings look a big challenge in early 2016, especially as most solar installation firms are losing economies of scale by cutting back on their volume of installations. We think some firms do have scope for limited reductions which is what we have reflected. What remains to be seen is how quickly manufacturers and distributors of solar equipment respond to the pressure. It makes no sense to most of them to cut prices before 2016 so it is hard to predict what will happen in reality. We can now look at the savings and income from the system. From 8 February 2016 solar panel FIT (Feed-In Tariff) payments will be 4.39p per kWh generated and 4.85p per kWh exported. These payments are for 20 years. Let’s assume that a household pays 13p per kWh for purchasing energy from the grid (a typical rate excluding the standing charge, which still needs to be paid irrespective of usage). The FIT scheme assumes that 50% of the generated electricity is used by the householder and 50% exported to the grid. Typical income/savings per year are shown in Table 1. This assumes that 850kWh is generated annually by the system for every 1kWP of solar PV array installed. This figure will vary depending on where in the country you are, the direction and angle of the roof, how shaded the roof is and the efficiency of the solar PV panels. As a guide a typical 4 bedroom family house using 7,000 kWh per year with a current electricity spend of circa £1,140 per year which has an EPC in band D and a south facing roof could install a 4kWp system on their roof. Assuming this was reasonably well located and unshaded the system would produce around 3,400 kWh of electricity per year i.e. about half of their annual electricity use. It is unlikely that solar PV panels will be a very attractive investment for a home-owner in the early part of 2016. Do look at the detail of any claims by installation companies and if they are charging more than £6,000 for a 4kW system the best advice would be to wait until costs fall. The threat of the VAT rise to 20% in August 2016 will probably not improve the situation. Our advice: Unless you can register your solar installation before 14 January 2016 don’t expect big investment returns on solar PV panels. Without further revisions to the Feed-In Tariff rates by the government and the cancellation of the planned VAT increase then the situation is unlikely to change until some time in 2017. 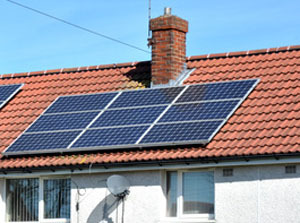 Homes in sunnier areas of the country with optimal roof positions where higher annual generation are possible (1,000 kWh of annual output per kW of panel rather than the assumed 850 kWh) and new build properties may find paybacks slightly more attractive but this will just bring the payback down by a couple of years to around 12 years. I cast an eye on your figures in the above article. There are a few things you may have overlooked or not aware of. Hope you don’t mind my observations. 1. re maintenance (inverter replacement). A ten year guarantee on an inverter is not a negative or guarantee that it will fail on exactly year ten. Almost all inverters are covered by either the retailer or manufacturer for 10 years but may live beyond this, or may have been changed already under guarantee during the first ten years. Either way a householder may not replace one from their own money until maybe year 15.. its anyones guess. Plus you recognise the cost of PV reducing but present contradictory information re your assumption that the cost of an inverter will still be £600 in ten years. You can buy a DVD player from the supermarket for £12 quid now.. electricals generally get cheaper. 2. You have assumed the same annual gain for every year. Whereas what you calculated with diligence is relevant for an assumed year one collective gain. Both FIT and Export payments are indexed linked at RPI so grow each year by a tiny amount. More important is the neglect to incorporate a reasonable assumption of energy inflation. Please look at either DECC or ONS and you will see around 8-10% year on year increase in the cost of electricity from suppliers can clearly be evidenced. Therefor to save £221 (from your figures) on electricity year one means that this saving will likely be greatly and exponentially more year on year. 3. Kwhs assumed are reasonable for the size systems you use. But are calculated in a way forced by the MSC standards developed in 2009 which do not recognise difference in performance from quality of equipment available, and do not recognise the advancement of performance over the last few years. Many householders beat the MSC figure. 4. Give the industry some credit. Many retailers/installers find ways of utilising more of the energy generated from the system in creative ways. For example intelligent switches can recognise when excess energy is generated that is not being used in the home, and instead of exporting it it can be diverted to an immersion switch to contribute to heating water in the cylinder thus reducing gas expenditure. This does not even affect export payments as the amount exported is ‘deemed’ half that generated irrespective of the amount actually exported. etc etc. There are many other factors that could also be raised. But in short payback times can be ten years or less in some cases. Which is as good as solar has ever been even when FIT payments were over 40p pkwh. There is a natural tendency for people to be apprehensive of technologies that are new, and /or to find ways to convince ourselves that they are not worthwhile. I’d urge that people have a full assessment of their property and energy needs from a responsible installer to see just what the industry can provide. Its still exciting stuff, especially with the new li-ion battery technologies coming into play this year where nearly all the electricity a system makes can be used day or night. Tomorrows technology is here already! Thanks for the thoughtful and detailed comments which raise some interesting points. You are right to make the point that paybacks will vary depending on a number of factors. However the average consumer need to know what a realistic rather than best case return actually is. 1. Planning for an inverter replacement is probably the biggest unknown; you are right that some will go on to more than 20 years plus performance but if manufacturers were that confident in their performance they would offer longer guarantees. It is anyone’s guess when or if it will fail but in evaluating an investment decision you cannot present the best case scenario, which some in the industry have been keen to do to gain a sale. A prudent approach is to use a cautious model. The retail inverter replacement cost of £1,000 today has actually been reduced to £600 for the future assuming a price fall of just under 5% per year. With the big upheaval in the industry currently underway after the fit changes it is not entirely clear where pricing will settle in the next few months. We will probably revisit this at the end of 2016 when the trend is clearer. 2. When calculating payback it is the convention not to include the time value of money. This is normally done in a discounted cashflow. Otherwise you are treating a pound in 10 years time as the same value as a pound today. The DECC assumptions on energy pricing can only be described as flawed. There is no evidence that electricity prices will actually rise by much more than the rate of inflation and a 10% annual rise for a decade or longer is a huge assumption. Energy policy can change in the time it takes to change an energy minister and no one can predict what mix of gas, coal, nuclear and renewables there will be in 10 years time. With price pressure from fracking and the oil price currently below $50 per barrel I would be surprised to see this rise in electricity costs, not least because of the downward pressure on electricity prices from renewables and in the future domestic battery storage. 3. The article does recognise that many householders beat average generation figures: those with south facing unshaded homes with optimum roof angles in sunnier locations. In these locations closer to 1,000 kWh per kW of solar panel can be achieved rather than the current assumed average of 850 kWh per year. However there are others where due to poor site conditions the performance will be lower. 4. Evidence shows that the majority of households export more than 50% of the electricity generated i.e. they would benefit if the actual rather than the assumed export figures were used. If the government moves to smart meters as planned then using strategies to consume more and export less will result in lower payments. Although it could be sensible to still do some demand shifting, heating water would not be cost effective in a household where mains gas is available. I do agree that payback can be ten years or less in some cases. However the solar industry has a reputation for claiming the best case in most installations – something it needs to get out of the habit of doing if it wants to survive as an industry. Battery technology will be a game changer over the next decade – not least in the way it will pull down electricity prices. However today there is no payback on battery technology for the average homeowner. In a couple of years this may well be different. See Solar Battery Calculator: Likely Bill Savings to calculate your likely loss on battery systems in 2016. Thanks for your observations. I enjoyed reading them. Extremely helpful article to me, a householder contemplating solar panels. I hope the government sees sense.